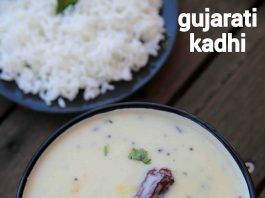 gujarati kadhi recipe | gujrati kadhi | how to make gujurati kadi with detailed photo and video recipe. simple and sweet curry recipe made with a combination of sour yoghurt and chickpea flour. 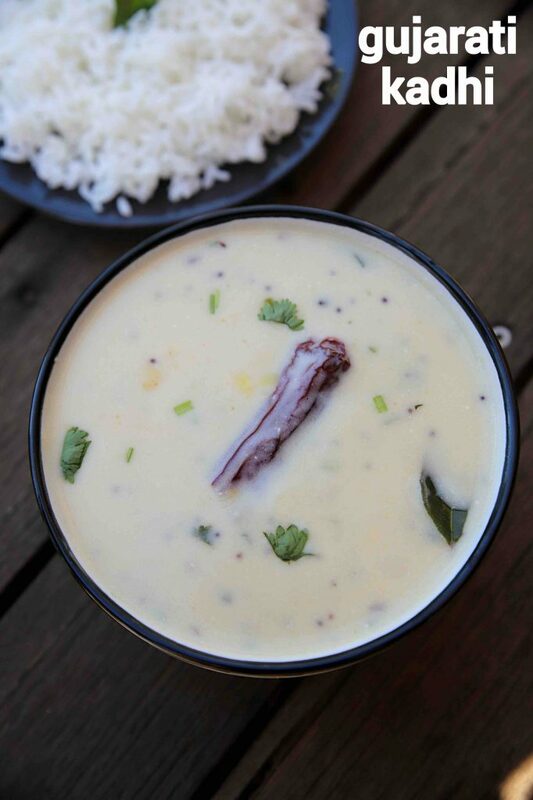 there are many variations and types of kadhi recipe which changes as per the region or states. 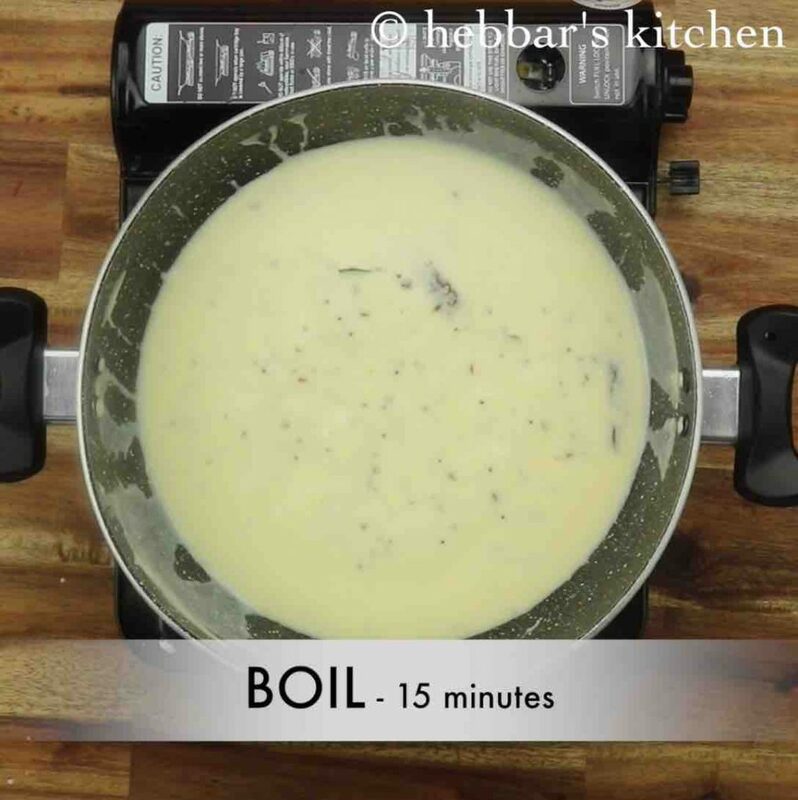 generally, the kadhi recipe is known for its sour and spicy taste combo, but this recipe has an extra sweetness to offer. 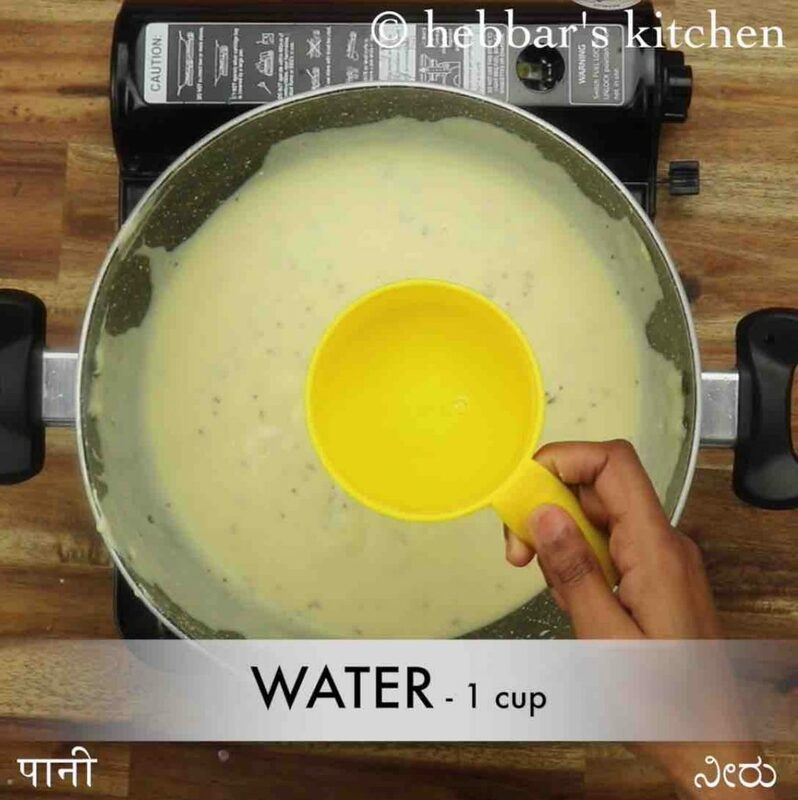 gujarati kadhi recipe | gujrati kadhi | how to make gujurati kadi with step by step photo and video recipe. indian curry recipes are known for its flavour and taste. each region or states has its own way of making a known curry and is made suitable for the native taste buds. one such popular and known curry recipe typically served for rice is gujarati kadhi recipe with sweet, sour and savoury taste. there are several distinct and easily identifiable features of gujrati kadhi recipe as compared to other regions kadhi recipe. firstly, the recipe is made with sour curd or yoghurt which makes it more flavoured and tasty compared to others. in addition it does not require any fritters to be added as compared to the punjabi kadhi pakoda. also, you may feel it as less thick and less bright in colour compared to its other counterparts. and more importantly, you have a sweet taste to it by adding sugar and thus making a perfect mixture of taste combo. 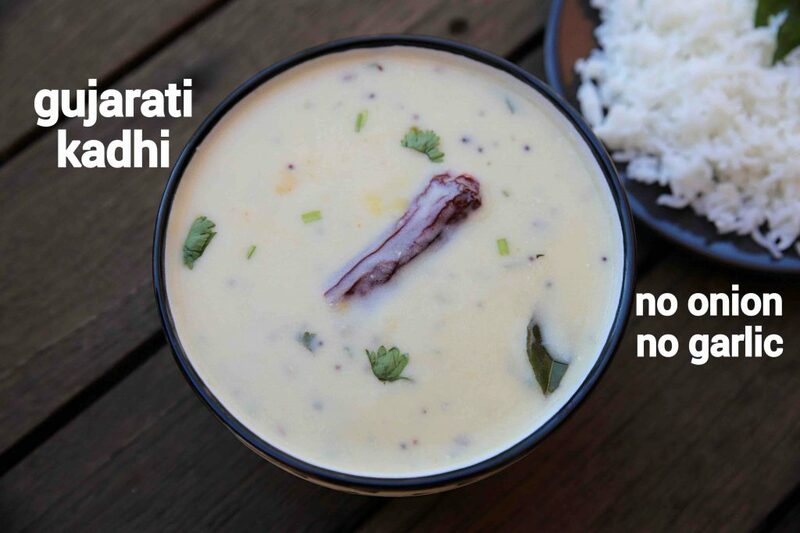 furthermore, i would like to add some tips and suggestions for a perfect and tasty gujrati kadhi recipe. firstly, the recipe is perfectly suitable with hot and steamed rice for lunch and dinner. but it also tastes great with other rice recipes like vegetable pulao, khichdi or even indo chinese fried rice. secondly, the kadhi recipe tastes great when it is served the next day. hence i typically make it overnight and serve it for the next day for lunch boxes. 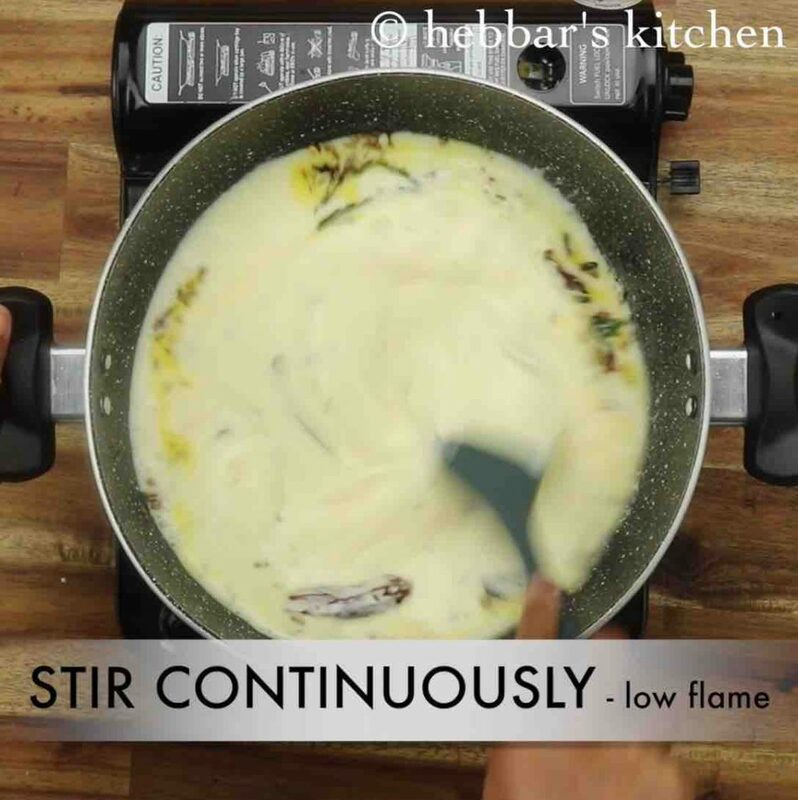 finally, before adding the curd, make sure to beat it properly so that it does not curdle when added to hot kadai. 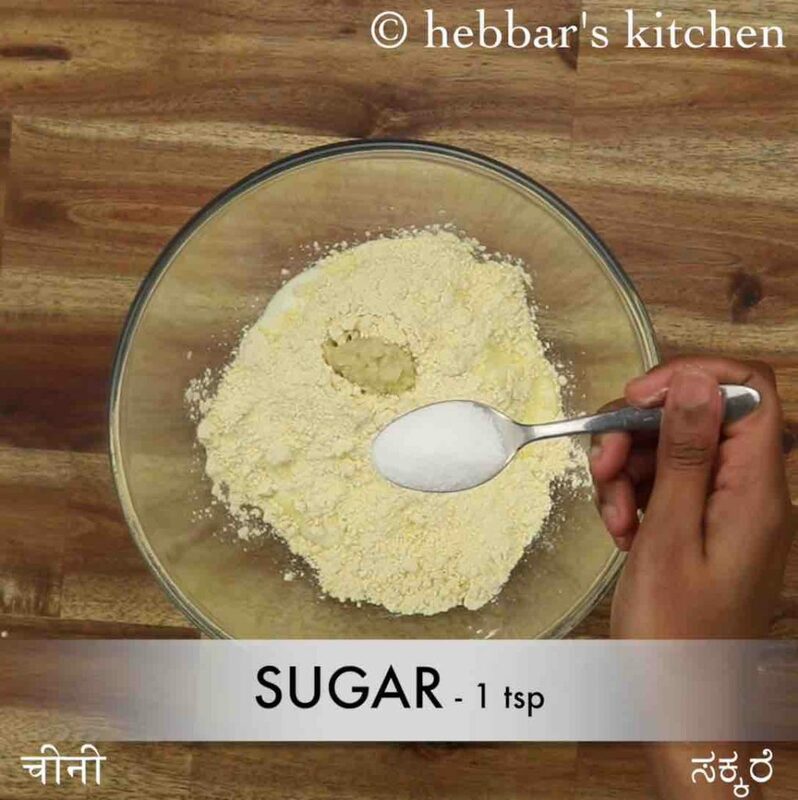 firstly, in a large bowl take 1 cup curd, 3 tbsp besan, ½ tsp ginger paste and 1 tsp sugar. 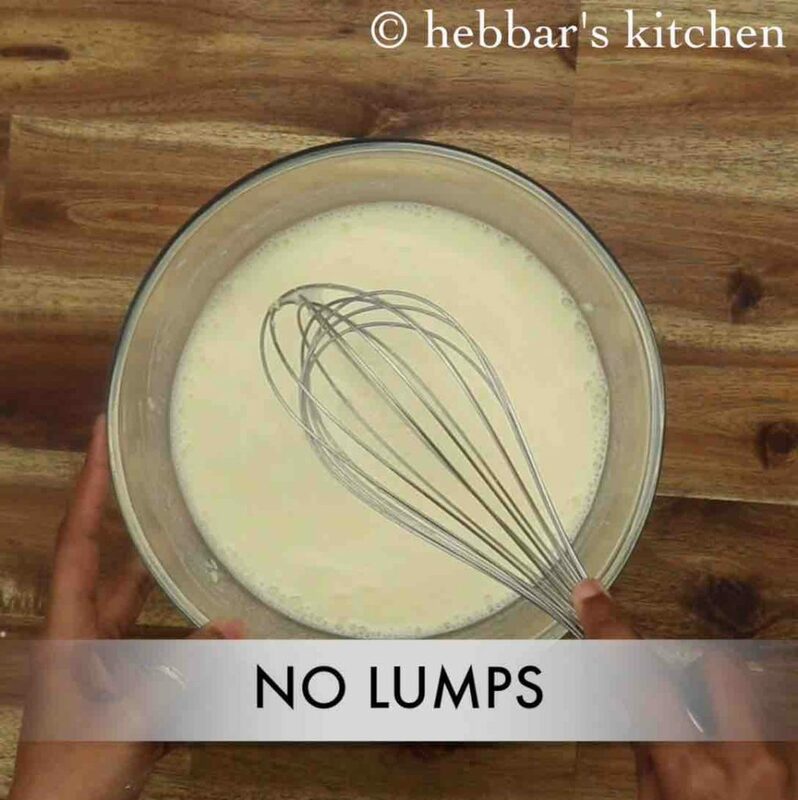 add 2 cup water and whisk smooth without forming any lumps. keep aside. 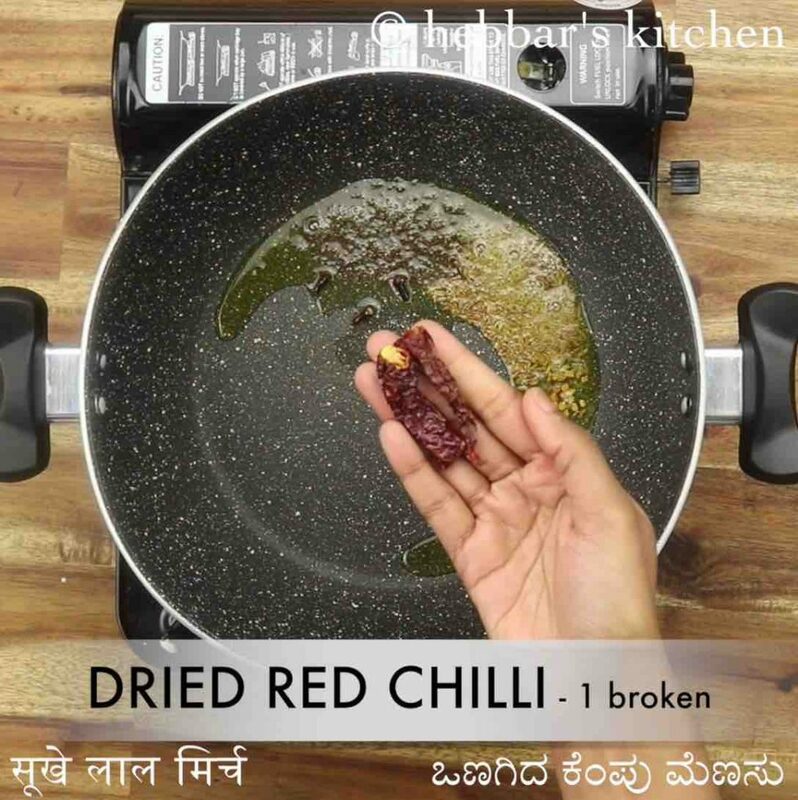 now in a large kadai heat 1 tbsp ghee and splutter ½ tsp mustard, ½ tsp cumin, ¼ tsp methi, 3 clove, 1 inch cinnamon, 1 dried red chilli, pinch hing, few curry leaves and 2 chilli. 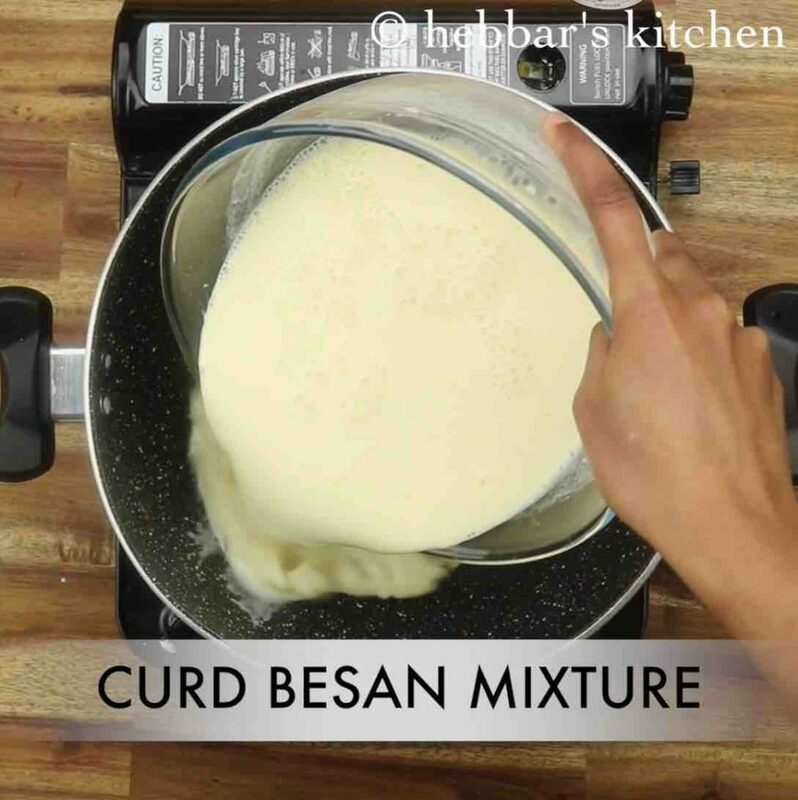 pour in prepared curd besan mixture and mix well. keeping the flame on low, stir for 5 minutes or until the mixture comes to a boil. else the curd might curdle. continue to boil for 15-20 minutes on medium flame stirring occasionally. further, add 1 cup water adjusting consistency as required. also, add ¾ tsp salt and simmer for 2 minutes. finally, add 2 tbsp coriander and serve gujarati kadhi with hot steamed rice. firstly, to have pleasant colour add turmeric in the curd besan mixture. also, adding sugar balances the flavour of kadhi. 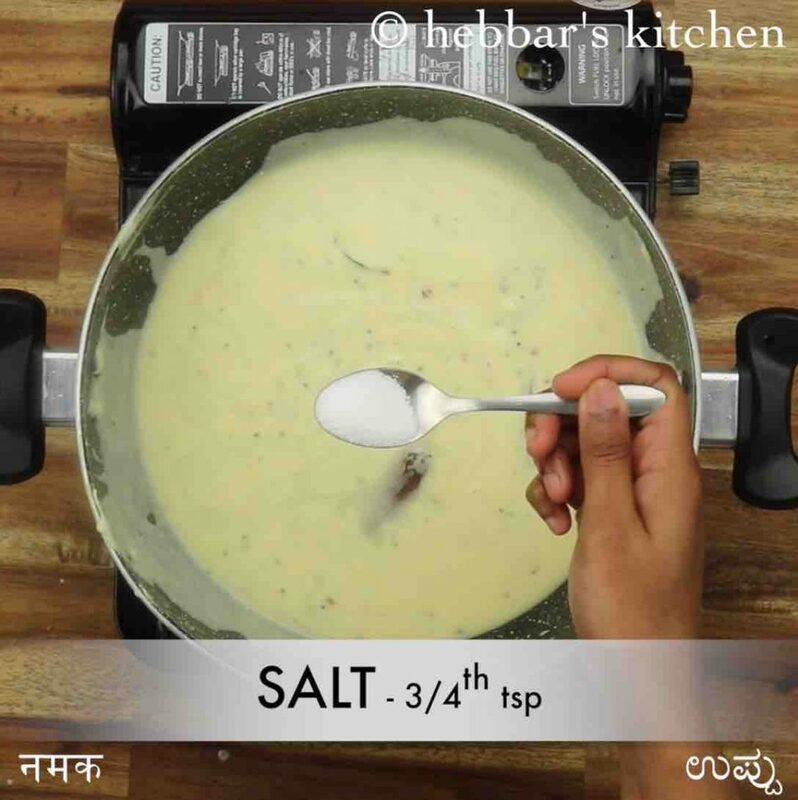 additionally, use sour curd / buttermilk for more rich flavour in kadhi. finally, boil the gujarati kadhi recipe on low to medium flame for atleast 15 minutes, else the besan taste raw.